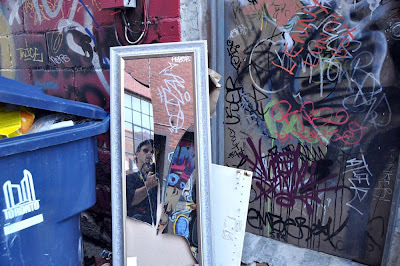 I stand in an alley in Toronto. 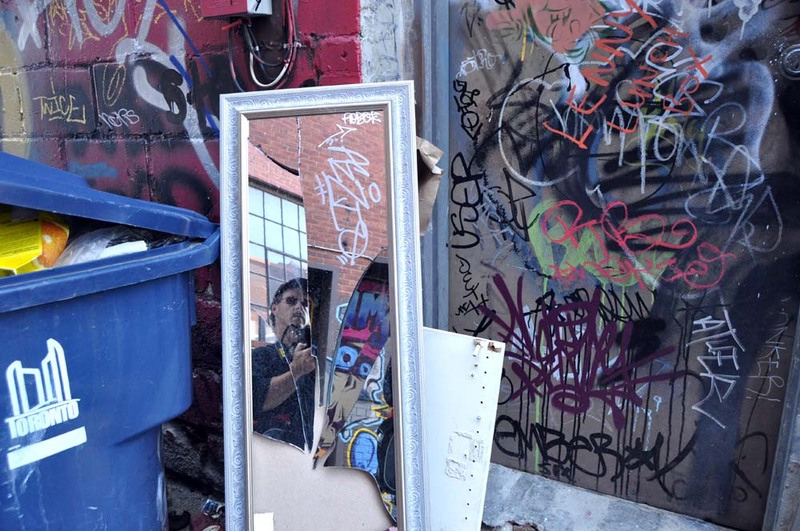 The graffiti fills a lot of the available space and a broken mirror sits beside a door. There I am, taking pictures.